Al Qaeda Now Threatens... France! Al Qaeda Now Threatens… France! This pill will be hard to swallow. 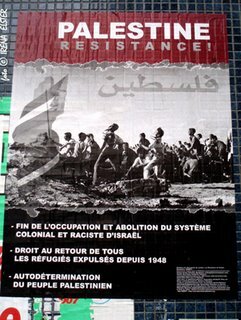 Canada… Germany… and now France! Al-Qaeda’s deputy leader has claimed that a radical Algerian Islamist group had joined al-Qaeda and is being urged to punish France, it has emerged. In the tape, he issued a warning of new attacks targeting Israel and the Gulf. Although France’s government opposed the US-led war in Iraq, French officials believe the country is still a target for Islamist militants. 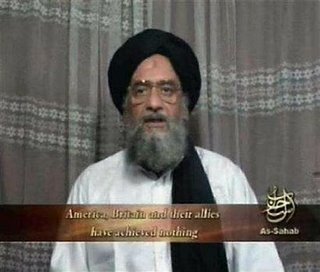 In the video, Zawahiri says: “Osama Bin Laden has told me to announce to Muslims that the GSPC [the Salafist Group for Preaching and Combat] has joined al-Qaeda,” according to quotes given by the AFP news agency. He urges the group to become “a bone in the throat of the American and French crusaders”. “We pray to God that our brothers from the GSPC succeed in causing harm to the top members of the crusader coalition, and particularly their leader, the vicious America,” he says. Zawahiri also promised that after the American defeat in Iraq (See John Murtha and the Democratic Party), that the American economy will be the next target.